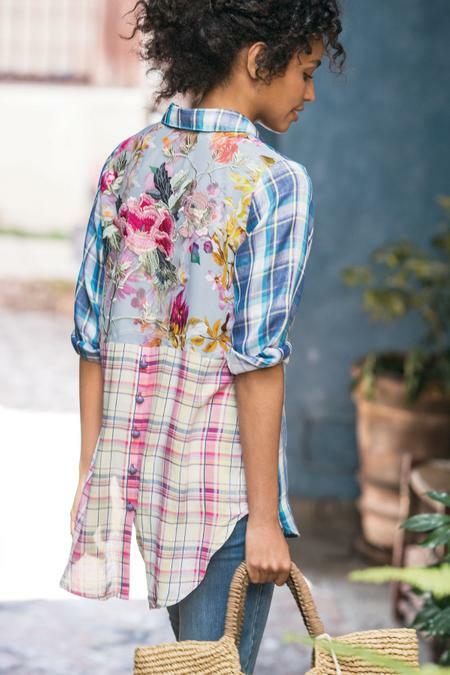 The 3⁄4 length sleeves and body of rich, yarn-dyed plaid give way to a vibrant embroidered design on lightweight georgette. With collar, patch pocket and high-low hem. Misses 33" long.